It's exactly a week to the Snake 2013 year! 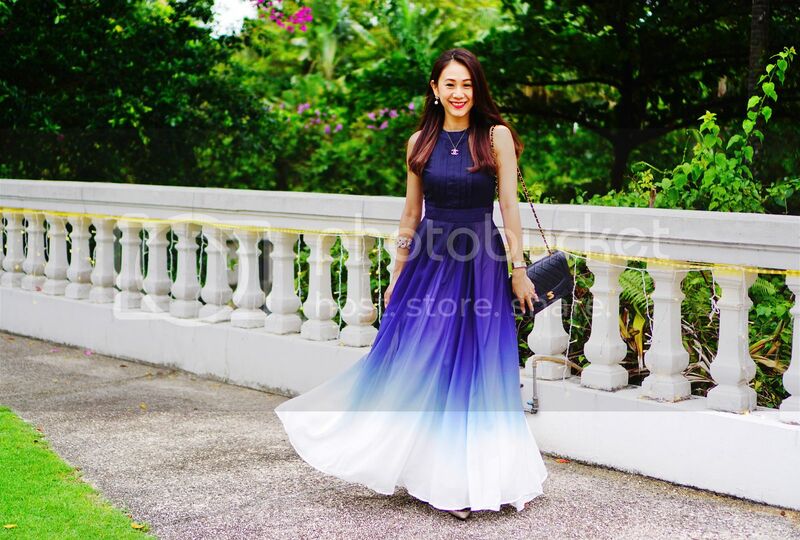 My last post was Auspicious colors to wear for CNY based on the Zodiac you are! This time round, I blog about Love, Career, Health and Wealth! I read a few versions which has been circulating and find them very similar. So here's one of the versions I saw. I really like reading such things, I am sure a lot Women do too haha! I mean, there's always the goods and bads so these should be read with an discriminating eye as they are based on general predictions for your Chinese zodiac sign. There is definitely much more to every human being that just the symbology of the year the person is born. Still, exploring these feng shui tips will definitely help improve your energy and make you more aware of the potential the Water Snake 2013 year might have for you. OVERALL: The Water Snake energy of 2013 is predicted to have both beneficial, as well as challenging energy for Snake people, especially in career and professional life. A better outlook is seen in your health and love relationship areas, so it is not all challenging for you in 2013. With the right use of feng shui cures and by taking the risk to be more open - in both personal and professional life - you might reverse the potential negative energies of the year. WEALTH and CAREER: This is not the year for you to take risks, neither in your career, nor in your money management strategies. Take extra care of the challenging Center area of your home by placing there a salt water cure. The Chi Lin cure can work there, too. Also pay attention to the West area by decorating it with colours of the Water feng shui element. LOVE: You can enjoy considerable luck in your love life in 2013, so be sure to have a good feng shui bedroom, as well as adorn your home (in a subtle way, of course!) with appropriate feng shui for love cures. Choose from peony flowers (if single); romantic art, rose quarts hearts, or the more traditional Chinese feng shui cures such as the Double Happiness sign or the Mandarin ducks. HEALTH: Snakes are predicted to have good health in 2013, although, the state of your health in 2013 will much depend on your inner calm and a strong personal (emotional) energy. Create calm, healthy energy in your home, use the power of vibrant plants, fountains, crystals and essential oils to keep the energy fresh and flowing. PERSONAL FENG SHUI: Look for crystals and jewelry designs with calming, energy strengthening properties. Crystals such as Hematite, multicoloured Tourmaline, Malachite, Jasper and Carnelian are just a few of many feng shui crystals to help you take good care of your energy. Explore feng shui good luck and protection cures and see which ones you can carry as a personal amulet. You can experience a good 2013 if you remember to stay calm and do your best to open up emotionally, especially in your personal life. OVERALL: 2013 is predicted to be a good year for Horse people. While there can be some challenging energy that can negatively affect your health and work life, you can control it with proper feng shui cures for health, as well as career cures. WEALTH and CAREER: You will find good supportive energy for most of your endeavours, so make the best of it. There are many feng shui cures to help strengthen the energy of career success, amount them the image of your own sign - the Horse - is one of the most popular ones. While 2013 promises to be a good year for you, the success lies in continuing the present path, rather than exploring a new one. It is also important for your sign to know when to restrain the need to constantly explore new options and settle on the one that has the most potential for you. LOVE: The energy of your love life can be quite unstable in 2013, so the feng shui suggestion is to work mostly on your own energy, or associate with people you know very well. Other suggestion is to be honest with people you decide to enter into a close relationship, be it a romantic or a professional one, as your sign has the tendency to manipulate people with inaccurate information. A good feng shui bedroom, as well as taking care of the feng shui trinity in your home, are the main feng shui tools to nourish your energy. HEALTH: Good health will be maintained by proper attention to the feng shui health trinity in your home, as well as applying your choice of health feng shui cures, such as the lucky bamboo and air purifying plants, use of essential oils, etc. Explore all the feng shui for health tips and choose the ones you can easily implement in your home or office. PERSONAL FENG SHUI: Dzi beads can help you the most in 2013, as well as other feng shui crystals or amulets, especially the ones with the mystic knot design. Explore feng shui good luck and protection cures and see which ones you can carry as a personal amulet. 2013 promises to be a very good year for Horse people. You can make this promise a reality by taking good care of your personal energy, as well as the energy of your home and office. OVERALL: A relatively good year, with many ups and downs, is the promise of 2013 for Goat people. There will be helpful energy for you to explore and build upon in your professional life, as well as in creating a stronger financial foundation for yourself. Some feng shui attention is needed to avoid conflicts in personal life. WEALTH and CAREER: If you stand strongly on your own feet and not rush into action, you will be able to use the energy available to you wisely. Career growth and recognition are all possible for you this year, just opt for calm, well-thought action. Use feng shui cures to help strengthen the energy of career success, as well as wealth cures. 2013 is the year of being careful, being grateful for all the good moments, and trusting that challenging times will definitely change for the better. LOVE: The energy of your love life can go through many ups and downs in 2013, so creating a calm, harmonious home - especially a good feng shui bedroom - should help smooth the ride. Take good care of the East bagua area of your home by implementing the feng shui cures East needs in 2013. Make an extra effort to control your temper this year. The energy of Kwan Yin can bring the desired energy of calm and protection. HEALTH: Support your good health by proper attention to the feng shui health trinity in your home, as well as applying various feng shui health tips. Look into such popular cures as essential oils, air purifying plants, good feng shui art, etc. PERSONAL FENG SHUI: The Pi Yao can be the best feng shui energizer and protector for you in 2013. You can also explore properties of various feng shui crystals and stones and use them as jewelry or personal amulets. Because your personal energy will tend to be low this year, make an extra effort to take good care of yourself at any given time, no matter where you are. This means basic steps from eating good food and exercising to surrounding yourself with good feng shui, both at home and at the office. 2013 will bring you many challenges, but also many opportunities to build a solid future. Be sure to take good care of your energy and make the best of each and every day. OVERALL: A spectacular year is in store for Monkey people. Career success, financial abundance and an overflow of auspicious luck - it all sounds really good. There might be challenging energy expressing itself as tension in personal relationships; but with this tension also come many opportunities to considerably improve your love life. Staying practical and open minded will help attract many auspicious possibilities. WEALTH and CAREER: Many opportunities to create wealth will be there for Monkey people in 2013. To make the best use of this energy, use various feng shui wealth cures. Focus on feng shui cures with a strong earth element in them such as various crystals, the Dzi beads or the gem tree. You career is ready to soar, so strengthen this energy with proper feng shui cures for career success. LOVE: The energy in your personal relationships shows an abundance of opportunities - to both strengthen an existing relationship, or easily leave one that is not working for you and find a truly better one. Nourish the energy of love in your home with a good feng shui bedroom, as well as with your choice of feng shui love cures. The presence of Kwan Yin or the Medicine Buddha in your feng shui relationships area (Southwest bagua area) can bring calming, protective energy. HEALTH: A balanced energy in the feng shui health trinity of your home will help you stay calm and healthy, so keep a good eye on it throughout the year. In addition, look into popular feng shui cures for better health such as essential oils, air purifying plants, good feng shui art, crystals, etc. As long as you manage to keep your emotions in check, you should enjoy an excellent year of vibrant health. PERSONAL FENG SHUI: The main focus in your feng shui efforts is to create calm, serene, down-to-earth energy. You can do that with various crystals, such as citrine, carnelian, jasper, moonstone and clear quartz in jewelry or as personal amulets. Using good feng shui images that help you stay centered and calm is also a good idea. 2013 brings excellent energy to Monkey people. With the proper focus on 2 main tools - plenty of calm and a simple, down to earth, practical approach to all events - you can make this a great year to remember. OVERALL: An excellent year is in store for the lucky Rooster. Plenty of good luck energy, success and prosperity are all predicted to come your way in 2013. Being mindful of the need to balance the strong/yang energy with the gentle and nourishing yin energy is the key to your absolute success this year, be it in business, relationships or in exploring totally new vistas. With full awareness and presence, this can become a very transformative year for you. The world is truly your oyster in 2013, dear Rooster! WEALTH and CAREER: To strengthen and re-affirm the wealth and success energy coming your way, consider decorating your home or office with career success and wealth feng shui cures. The feng shui crystal tree is also recommend to you. LOVE: Your energy is very strong and focused this year, so the only downside of it can express in being overly aggressive, demanding or even show anger in personal relationships. Of course, this can negatively affect any relationship in your life, especially an intimate love relationship. Staying calm and connected to your feelings, choosing best people to associate with, as well as going with the flow is the advice for you in 2013. This should not be that hard, dear Rooster, since this flow is bringing you so much luck! Focus on attracting and strengthening the flow of love with various feng shui love cures. HEALTH: Taking good care of the feng shui health trinity in your home will help keep your energy balanced and calm. Consider using such popular feng shui cures for better energy as essential oils, air purifying plants, good feng shui art, crystals, etc. PERSONAL FENG SHUI: As your personal energy is very strong this year, the main focus in your feng shui efforts is to bring more calm, serene and clear energy. This will help balance the strong yang chi that can become destructive without its counterpart - the slow and gentle, nourishing yin energy. You can do that with crystals, such as aquamarine, turquoise, celestite, clear quartz, etc in jewelry or as personal amulets. 2013 promises to be an exceptional year for you, Rooster, make the best of it! OVERALL: The 2013 predictions for Dog people look much better than in the previous year. Plenty of opportunities will be coming your way, and the best you can do is stay alert and use them to the best of your abilities. Take good care of yourself, do not react to negative people or events and make the best of all opportunities coming your way is your best strategy this year. WEALTH and CAREER: There will be many improvements in your financial situation, as well as success in your career. Crystals are recommended for you as main wealth feng shui cures, including the gem tree, various wealth cures made from crystals and stones, such as the jade Laughing Buddha, for example, or personal jewelry made from specific crystals. It is also important for you this year to strengthen the protective energy around you; so cures such as the Kwan Yin symbol, for example, can help. LOVE: By focusing on clear, calm energy in your home, especially your bedroom, you can help create a strong foundation to support your love life in 2013. Use your intuition when it comes to both new, as well as old relationships and friends. Be sure your East area is taken care of this year; also pay attention to the West area with all the proper feng shui 2013 cures. HEALTH: Explore the feng shui tips for health and see which tips, products or suggestions can work well in your home or office. Do not overlook the feng shui basics, such as a good energy flow in your home, fresh air and good light, air purifying plants, etc. Create calm and beauty, always watch your energy levels and know that ultimately your health depends on what you think of it. Stay optimistic and bright. PERSONAL FENG SHUI: The Pi Yao symbol and the Dzi beads are considered very helpful for you this year. It is also recommended to use specific crystals, such as Tiger's eye, carnelian, jasper, amethyst and jade in jewelry or as personal amulets. Even though 2013 might not be a stellar year for Dog people, you can still enjoy a very good year. Stay focused on nourishing your own energy and do your best in ignoring any negativity, be it your own or from those around you. Stay alert to the multitude of opportunities predicted to come your way and enjoy a beautiful 2013! OVERALL: A successful year is in store for Pig people. Plenty of good luck and auspicious energy are there for you, especially if you learn to make the best of all opportunities coming our way. 2013 is a good year to continue to learn one of your major lessons - how to keep helping people - something you love to do! - and at the same time take good care of your own needs. You have to be sure to take good care of your energy and not exhaust yourself. Use feng shui cures as needed to neutralize any negative energy and strengthen the positive one. WEALTH and CAREER: The abundance of opportunities coming to you in 2013 will help attract and grow wealth by progressing your career. Choose wealth and career success cures as needed - meaning choose the feng shui cures you feel really drawn to - and trust your judgement. LOVE: 2013 comes with the continuation of the same lesson you were going through in the previous year - to be a bit more cautious in dealing with people. A slowness of response will help you make best decisions when it comes to new or old relationships, as well as protect you from possible disappointments. Take good care of the East area in 2013 with the proper feng shui cures. HEALTH: The 2013 predictions indicate that your inner energy (Chi) might be a bit vulnerable this year. Thus, your focus should be on nourishing your energy and maintaining a dynamic, active balance. It is important to take time off and replenish yourself, otherwise you might exhaust your energy and miss many opportunities. Implement the feng shui health cures of your liking, take good care of the feng shui health trinity in your home, and be sure to make space for your innermost self. Create your own altar, start a regular meditation practice, etc. PERSONAL FENG SHUI: Your focus in 2013 is on supporting and strengthening your energy. Feng shui-wise, you can always do that with a nourishing environment, as well as by using various crystals. Amethyst, black tourmaline, celestite and aquamarine can bring strengthening benefits to you this year. Employ them as personal amulets or find jewelry with the crystals you need. Be sure your North bagua area is treated with proper feng shui attention this year. 2013 brings very promising, and at the same time a bit challenging energy to Pig people. As long as you remember to take good care of your energy and not exhaust yourself, you can truly benefit from all the great opportunities. OVERALL: Generally, the Water Snake energy of 2013 is considered to be a bit challenging for the Rat. 2013 can still be a successful year for business and career endeavours, as well as personal relationships because it will bring many opportunities for change. Metal and Water Rats can do the best this year because of element compatibility. WEALTH and CAREER: To strengthen career luck, Rat people can look into feng shui career success tips and cures and choose ones that work best with the birth element. For example, if your birth element is Wood, choose a Water element (blue or black) rather than a Fire element (red or purple) feng shui decor item. LOVE: 2013 can be both a good year for attracting or strengthening a major love relationship, as well as a year to experience being by yourself. It all depends on how the Rat people will use the many opportunities coming their way. The advice is to stay centred and focused on one's values and ideals, and, when clear, use feng shui love cures in your bedroom or your living room. Not taking a love relationship for granted and paying attention to your close circle of people will help smooth the overall 2013 love energy rhythms. HEALTH: In 2013 Rat people will continue to experience volatility in their personal energy levels. A good advice is to follow health feng shui tips and bring health feng shui decor cures, such as the Medicine Buddha, or a Wu Lou for calming, healthy energy. Alternatively, look for strong, vibrant art images with potent energy that strengthen your personal energy; images you feel attracted to, be it mountain tops, forests or open vistas. PERSONAL FENG SHUI: You can also look into good feng shui jewelry, be it with crystals and stones that work best for you (check the feng shui properties of crystals), or jewelry that employs various auspicious classical feng shui symbols, such as Pi Yao, the Dzi beads, Double Happiness or an amulet with your own Chinese zodiac sign. Know when and how to take the time off, so that your personal energy is replenished and rejuvenated. Do not forget to take good care of your feng shui health trinity at home and enjoy a beautiful and successful 2013! 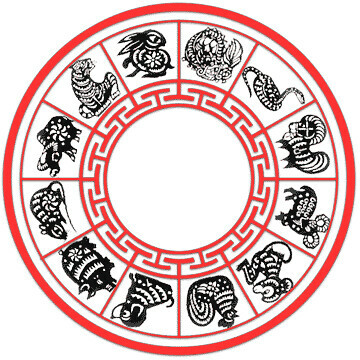 OVERALL: The Water Snake energy of 2013 is considered to be very good for the Ox. There can be challenging energy in career and business, as well as possible health issues. However, there is also a presence of a very benevolent energy that can really help you throughout the year, especially with potential wealth opportunities, if you know how to use it. We will address the feng shui basics below. WEALTH and CAREER: The energy of possible difficulties in your professional life can be controlled by the feng shui symbol of Pi Yao, which you can wear as a personal amulet. Be sure to also work with feng shui cures for career success. Be mindful about avoiding conflict energy at any costs, be it at home or at the office. Unless you stay detached from negative energies, you might miss the opportunities presented to you this year. LOVE: 2013 can be a good year for nourishing love relationships if you manage, as stated before, to stay clear of any conflicts and practice patience. Symbols of protection and strength energy that come in pairs, such as the Chi Lin or the Fu Dogs, can help you this year. And, of course, a good feng shui bedroom is a must! HEALTH: Your health might go through many ups and downs this year, which makes it important to apply specific feng shui health tips in your home and office. Be mindful about monitoring your energy levels and create a home environment that is nurturing of your birth feng shui element. The Wu Lou feng shui symbol is highly recommended to Ox people in 2013, be it as a feng shui cure for home or as a personal amulet. PERSONAL FENG SHUI: In 2013 the focus is to strengthen the energy of calm and protection around you, which can be helped by wearing specific feng shui crystals in jewelry or as feng shui amulets. Symbols such as Pi Yao and Wu Lou (mentioned above), or your own Chinese zodiac sign can be easily incorporated in items such as a bracelet, a key chain or a pendant. Stay calm and detach from the energy of conflict, take good care of your health and you might enjoy a beautiful 2013 full of opportunities! OVERALL: The Water Snake energy of 2013 can be slightly challenging for the Tiger. You will still experience vibrant health and enjoyable relationships in 2013, but you will have to practice caution and patience in order to enjoy all the benefits of 2013. To maximize available opportunities, as well as attract even more, be sure to strengthen all beneficial energies in your life by applying good feng shui in your home and office. WEALTH and CAREER: To assure the promised good outlook for your sign in 2013, use feng shui good luck and protection cures with the energy of blessings, such as Kwan Yin, for example, or the Laughing Buddha. It is also a good idea to stabilize the wealth energy coming your way with good feng shui prosperity cures, be it a wealth vase, a money tree, a wealth ship or a red tassel with Chinese coins. LOVE: The same good outlook extends to the love life of Tiger people; nourishing and exciting relationships abound. You can further strengthen your love luck with such popular feng shui love cures as the Double Happiness sign, the Mandarin ducks or 2 rose quartz hearts. Of course, it goes without saying that creating (and keeping!) good feng shui in your bedroom, as well as regularly checking the flow of energy in your home is always important. HEALTH: The energy is there for you to experience vibrant health and good levels of energy in 2013. Be sure this energy is welcomed by good feng shui in your home, particularly with feng shui health cures in your health area, as well as the living room. A vibrant lucky bamboo or the Wu Lou (Chinese gourd) can be excellent feng shui cures for you. PERSONAL FENG SHUI: Specific feng shui crystals in jewelry or as feng shui amulets always bring benefits, especially since everyone's energy, no matter how good, tends to fluctuate throughout the day. Crystals such as Tiger's eye (of course! ), citrine and pyrite are especially beneficial for the Tiger. With all the positive outlook for 2013, be wise and make a point of not getting carried away. Stay on your feet, avoid conflicts and always watch your personal energy. Avoid getting emotional (or stubborn), and a beautiful 2013 is yours to enjoy! OVERALL: Good energy is predicted for Rabbit people in 2013. There is a presence of a particularly beneficial energy that often expresses itself as a big opportunity, or a much awaited event. There is also much luck to be encountered in your professional life, as well as your personal relationships. Vibrant health is in the stars for Rabbit people, too. If you resist the temptation to make too many changes and do not rush into action, 2013 can be an excellent year, indeed! WEALTH and CAREER: Use feng shui cures for career success, as well as wealth. Most importantly, monitor your personal energy and trust your intuition to not miss one moment of the many opportunities in 2013. The blissful, gentle and protective energy of Kwan Yin can be an excellent feng shui cure for you. LOVE: Your 2013 love luck can be strengthen by your choice of smart feng shui love cures, be it the rose quartz hearts or a small statue of lovers. Be sure your bedroom is well-taken care of and the feng shui energy in your home is fresh, crisp and nourishing. If you are single and looking for a love partner, art with peony flowers can be a potent feng shui image in your bedroom. HEALTH: 2013 is predicted to be a productive year for Rabbit people. To make the best of it, be sure the feng shui energy in your home is supportive of your health and well-being. Use feng shui health cures of your choice and surround yourself with beauty to help nourish and express the best of your personal spirit. Art or images with high energy, such as mountain tops or open pathways in a vibrant green forest can work wonders for you. PERSONAL FENG SHUI: A bit of feng shui protection can go a long way, so look for good feng shui jewelry to strengthen your energy and create a shield of protection around you. Explore feng shui properties of crystals to see which ones appeal to you the most. The mystic knot pattern in any of your accessories can promote a continuos flow of auspicious energy. A beautiful year is in store for you, Rabbit people; just remember to make any changes in a thoughtful manner. Enjoy the best of 2013! OVERALL: The Water Snake energy of 2013 can be both challenging, as well as beneficial for those born in a Dragon year. With strong will and enough determination, as well as careful feng shui planning, you can enjoy a good year. WEALTH and CAREER: It is best to be careful and cautious this year, as well as use strong feng shui protection and wealth cures. The Pi Yao is considered the most powerful remedy for one of the challenging feng shui energies in 2013, you can carry one as a personal amulet. Another good feng shui cure to counterbalance the effect of the second negative star is a metal bell or a singing bowl placed in the Southwest area of your home or office. LOVE: While it is important to nourish and develop personal relationships, 2013 might not be the best year (for you) to dive into a new relationship. Stay calm, keep your spirits up no matter what, and definitely create a very good feng shui bedroom for yourself, a strong feng shui front door and happy overall energy in your home. Focusing more on self-love, rather than looking for love outside yourself, will help you go through this year with the least challenge. HEALTH: The state of your health in 2013 will depend on your inner strength, meaning how well will you be able to weather the possible storms. Focus on the positive, avoid the negative, and create vibrant feng shui energy in your home. A statue of Kwan Yin or the Medicine Buddha can be an excellent feng shui enhancement for the Dragon sign in 2012. Be sure to also look into the various feng shui health tips and cures and choose the ones you feel drawn to. PERSONAL FENG SHUI: Protective, calming and energy strengthening feng shui crystals (in jewelry or as feng shui amulets) will help you this year. Explore the properties of various crystals and choose the ones you like the most. Ammonite, Tourmaline, Pyrite and Amethyst are just a few suggestions of good feng shui crystals for the Dragon in 2013. If you manage to stay calm and a bit detached this year, you can turn the challenging energy into a beneficial one and even have a successful year.